Early morning flight to Leh. Day free for rest and acclimatization. Tour of Leh city, including the 17th century palace and gompa. Touring the monasteries and palaces of the Indus valley. Travel by jeep to Lamayuru gompa, a site that abounds in myth and legend. Overnight in the village. 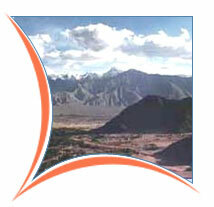 Trek from Lamayuru over Prinkiti La (3725 metres) to the village of Wanlah, with its ancient gompa. Trek through remarkable gorge country to the village of Honupatta. Trek to the Singge La north base camp. 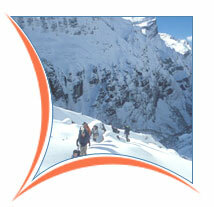 Trek over the 5100 metre Singge La to south base camp. Trek to Karsha, the largest monastery in the entire Zanskar valley. Trek to Padum, crossing the Zanskar river on a remarkable bridge. Day at leisure in Padum. Trek past the riverside citadel of Bardan gompa to Mune. 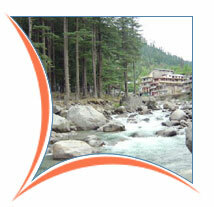 Continue along the banks of the Lungnak (Lingti) river to the hamlet of Ichar. Trek to Purni, where the Kargyak and Tsarap rivers first merge to form the mighty Lingti Chu (river). Trek to Phugtal gompa, one of the world's most spectacular structures. Its location, spilling down a sheer cliff face from the mouth of a massive cave, is a staggering sight. 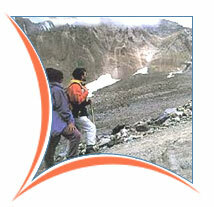 Trek to the friendly village of Tangtse, at the base of the gorge leading to Phirtse La. Trek to Shingsaw, the base camp for our pass crossing. We make an early start to cross Phirtse La (5350 metres) to the vast nomad camp at Chumik Marpo. Trek to Serchu Serai, on the banks of the Yunan river. Trek to Kilang Sarai, where we meet the Manali to Leh military road. Travel by jeep to Keylong, the capitol and administrative center of Lahaul. Continue by jeep over Rohtang Pass to Manali. Jeep to Pinjore, stay in Palace Hotel there. Jeep to Chandigarh, then express train to Delhi, on arrival check in at Hotel. Stay overnight at Hotel. Depart-Delhi, Transfer to airport for flight to onwards journey.